Found 3 file extension associations related to Men Of War: Assault Squad and 1 file format developed specifically for use with Men Of War: Assault Squad. Men of War: Assault Squad is the new title in the "Men of War" series. 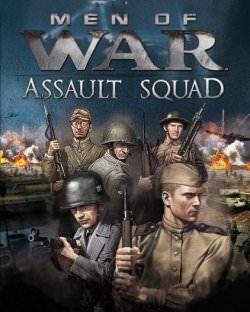 Assault Squad takes place across the globe during the height of World War II and features a completely new cooperative skirmish game mode with access to five different nations (Russia, Germany, USA, Commonwealth and – for the first time ever in the Men of War series – Japan) as well as increased realism and accessibility. If you need more information please contact the developers of Men Of War: Assault Squad (1C Company), or check out their product website.